Foremen, construction heads, and anyone else in charge of a construction site or similar job site have more technology available at their fingers than ever. There are many concerns and considerations involved in managing a site, from promotion to security, to marketing and—perhaps most importantly—safety. Many construction managers may not know that OSHA reports that 1 out of 10 construction workers will be injured on the job each year. Whether they are considering security, promotion, safety, management, or any other aspect of the construction or job site business, technology is helping the folks in charge achieve goals old and new in efficient and effective ways. Construction cameras are one such modern trend, which (when installed effectively) give those overseeing a construction site more flexibility and control than ever. Pan-Tilt-Zoom – A pan-tilt-zoom camera, or PTZ, are sometimes known as “robos,” as they have the capability to be moved, panned, or tilted remotely using robotic servos built into the camera housing itself. A PTZ camera can capture still or video images in high definition and in color, and be linked with many other security solutions such as remote monitoring, live view technology, virtual guards, and more. The PTZ technology makes it possible for someone remotely monitoring the device to physically move the camera view field, enabling a wider range of coverage, as well as offering specific coverage when required. Individuals, cars, and moving objects can be tracked in real time. Thermal – Thermal cameras may remind you of a scene from a futuristic science fiction movie. They allow for real-time video feeds to be displayed thermally, meaning that the video feed will be displayed to highlight the temperature of objects and living things in the field of view using a specific color variant. Warm objects (such as people) will show up as bright red or orange, while cool objects (cars at rest, construction elements) will appear as blues or greens. The benefit of such a setup the ability for monitors (whether virtual or remote security personnel) to pick out elements such as people hidden behind foliage, running cars, or animal intrusion. Live View – Live view cameras take the best quality high definition, full-color video feeds and provide them on a live streaming basis to remote devices anywhere in the world. Live view can be combined with many other technologies, including PTZ mechanics and remote monitoring by virtual guards. Whether it’s a security monitor or the project manager, any authorized user can access the live view to see a high FPS, smooth and clear live images of the job site. This can be useful for both security and management purposes. Time Lapse – Time lapse cameras are set up and used in such a way as to provide snapshot images of a location over an extended period of time. But don’t imagine that modern time-lapse technology is the same sort of grainy video production that let you see a flower “bloom” at super speeds in grade school. Modern time lapse technology allows for viewing a site remotely, comparing images of a site over time, and analyzing images to include useful information overlays. 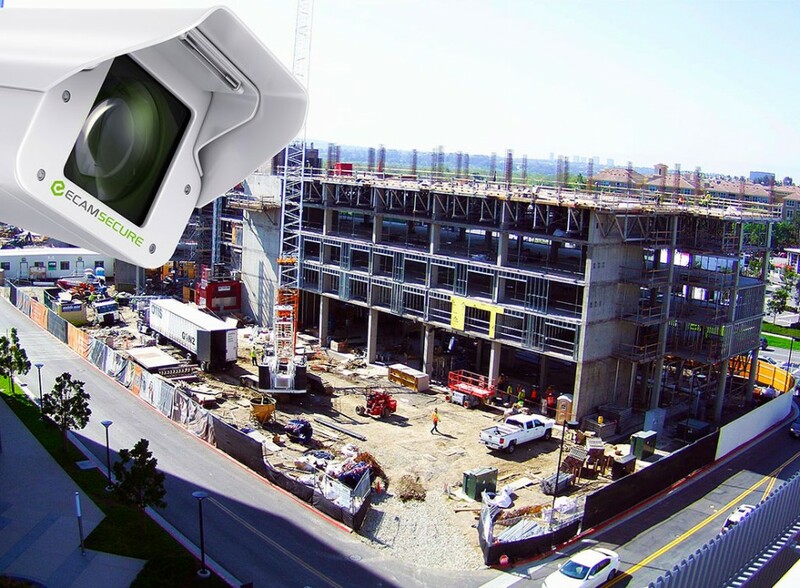 The benefits of using a construction camera are numerous, going beyond simple security applications. Using a construction camera is key element in remote project management, giving managers a way to check in on the project from anywhere on the globe. Whether PTZ, live cameras, or a combination of anything else, remote management is made possible only when you can “put eyes” on a project with the latest construction camera technology. This allows you to make decisions, communicate about the job, and get the project taken care of more effectively through remote management techniques. The most frequent and common use of construction cameras in the business is for security purposes. Whether you’re the project manager and you just want to be able to check in on the site from time to time, or whether you want to link up construction cameras with a full-time security monitoring service, using construction cameras is the first step in providing security for your project. A sometimes-overlooked avenue is the opportunity to use construction cameras for marketing purposes. Maybe you are the project manager and you want to show off all the great work going on behind that tall fence downtown. Or maybe you are the proud owner of the new building going up on the boardwalk. In either case, it is in your best interest to show the local public (and beyond) what great business you’re getting into. Using construction cameras is a great way to market your business or project.